Brandt Snedecker won the 2012 Tour Championship as well as the FedEx Cup for a whopping $11.4 million. When we see his victory from a distance, we might come to believe it was his ability to hit fairways and fantastic putting that made the difference (Brandt was #1 for both in this tournament). I say it is Brandt’s attitude which makes him a champion. I had the wonderful opportunity to work with Brandt when he played at Vanderbilt University. My impressions of him were that he was quite insightful and bright, well beyond his years. When interviewed at the Tour Championship this past week, Brandt stated that he has learned a powerful lesson as he got older: Having balance in his life gave him a better golf game. Brandt mentioned that he has hit more than 1 million golf balls, and he does not have to practice so much anymore. He also said he works out in the gym much less. However, he does spend more time with his family (he has a young daughter, with another child on the way). This balanced perspective has not only helped with his mental well-being, but also, this new perspective has supercharged his game. When we diversify and have more balance in our lives, we reduce our stress levels. Here is an analogy: You have a variety of ego egg baskets. But, if you place all your ego eggs into only one basket, there is more pressure to perform well at that one activity to get those self-esteem points. For Brandt, he diversified his baskets. With greater balance in his life, the pressure is diminished for Brandt to always perform well, and as a result, he plays better in competition. The ironic point of balance is that it increases your production by taking time away. When you have greater balance, you will have less stress and more energy to produce at higher levels for longer periods of time. Unfortunately, many people in the business world do not see the irony of balance. They believe it is a badge of honor to work 80 hours a week and never take a timeout or go on vacation. Lee Iacocca, of Chrysler fame, has said, “I have seen many executives who have said with pride to me, “Boy, I worked so hard last year that I did not even take a vacation.” To Iacocca, that is foolish thinking. Taking a vacation and having balance is essential to your overall well- being in business. Besides hurting your mental health, being uni-dimensional in your life can contribute to burnout. Sports psychologists have discovered that athletes who are uni-dimensional (only played one sport) suffered from greater burnout than those athletes who are multi-dimensional (played a variety of sports). When all your ego eggs are in one basket, they can crack more easily. The same principle applies to your life. Are you feeling drained and tired as a golf teacher? Are you on the way to burnout? Are you suffering from being uni-dimensional? As a golf teaching professional, it is easy to overwork. When the lessons are there in this tough economy, you need to take them – right? I would say be careful. While money in the pocket is always great, your longevity in this business is also essential. You must protect your overall well-being. As Lee Iacocca mentioned, working 80 hours is not the best way to run a business. Like Brandt, add to your balance sheet by diversifying your life’s portfolio. Add meaningful and fulfilling activities to your day. 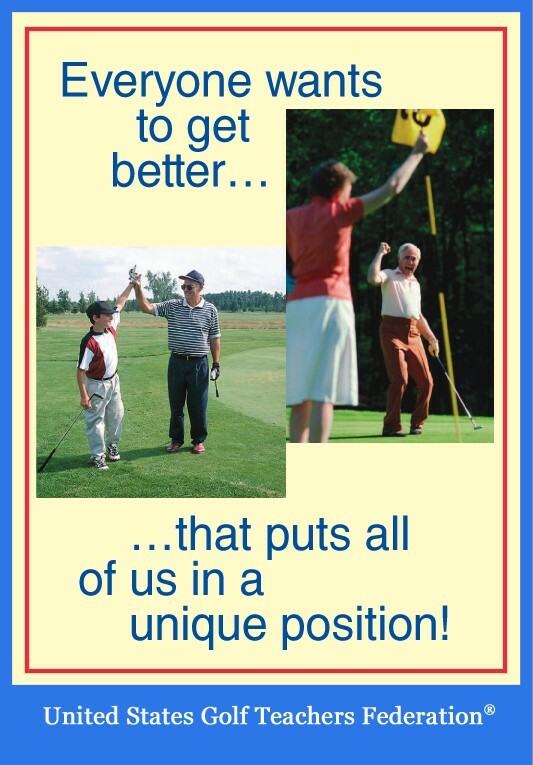 Make sure you play enough golf and spend time with your family. Diversify and you will greatly accrue in pleasure as well as productivity.